02/07/2017 — The weapons of the spiritual warfare we are called to fight on God’s behalf are for an offensive posture, not a defensive posture. We are called to advance the Kingdom of God on earth! Too often we play not to lose. But we can play to win, because God has gone ahead of us and secured our victory. “In the beginning was the Word, and the Word was with God, and the Word was God. He was in the beginning with God. All things were created through Him, and without Him nothing was created that was created. In Him was life, and the life was the light of mankind. The light shines in darkness, but the darkness has not overcome it” (MEV). “(B)e strong in the Lord and in the power of His might. Put on the whole armor of God that you may be able to stand against the schemes of the devil. For our fight is not against flesh and blood, but against principalities, against powers, against the rulers of the darkness of this world, and against spiritual forces of evil in the heavenly places. Therefore take up the whole armor of God that you may be able to resist in the evil day, and having done all, to stand. Stand therefore, having your waist girded with truth, having put on the breastplate of righteousness, having your feet fitted with the readiness of the gospel of peace, and above all, taking the shield of faith, with which you will be able to extinguish all the fiery arrows of the evil one. Take the helmet of salvation and the sword of the Spirit, which is the word of God” (MEV). What is seen is a fact. It’s not wise to ignore symptoms of a serious health problem, for example. But those facts are trumped by the absolute truth of God’s Word, which states that healing is the children’s bread. So don’t deny that a tumor is a fact. Deny its right to remain! Your Bible says, not that you win, but that you have won. God has gone into your future and secured your victory. The devil’s intention is to play offense, and put you on the defensive. But it’s God’s ball. It’s His field. And He makes every single rule to favor you. You win, because you serve Jehovah Jireh, the Creator of Heaven and Earth! I am so grateful to be part of Your team – and to be assured of victory against my adversary the devil simply because You have chosen me. Order my steps so that I will put on the whole armor of God on a daily basis to play on offense in the battle for the ages, and not on defense. Defeat is not in my vocabulary because I trust in You! 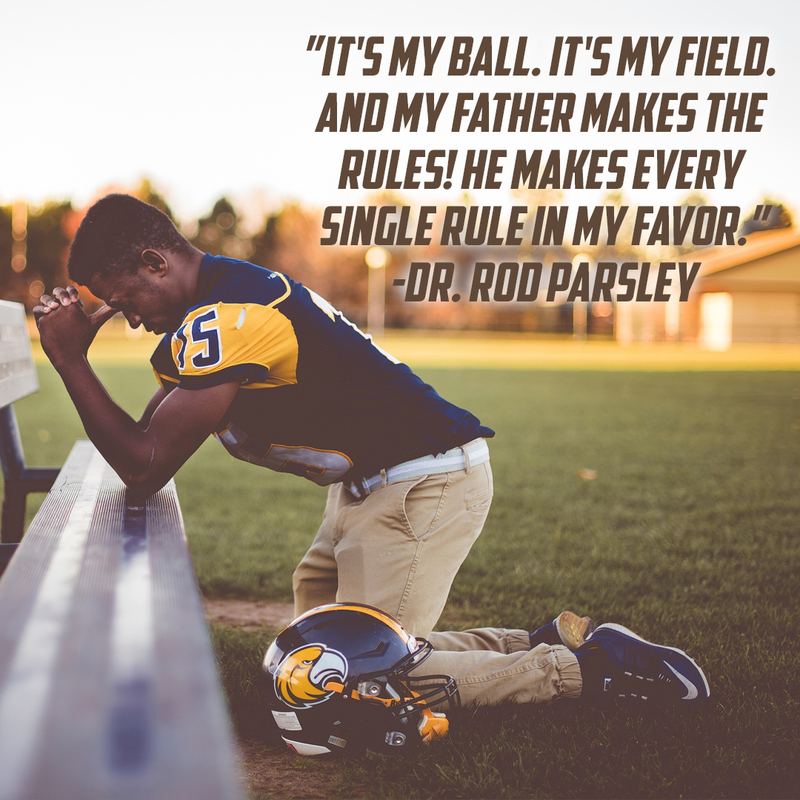 I won’t play to avoid losing ever again, because You have called me to play offense in the spiritual warfare I encounter each day. 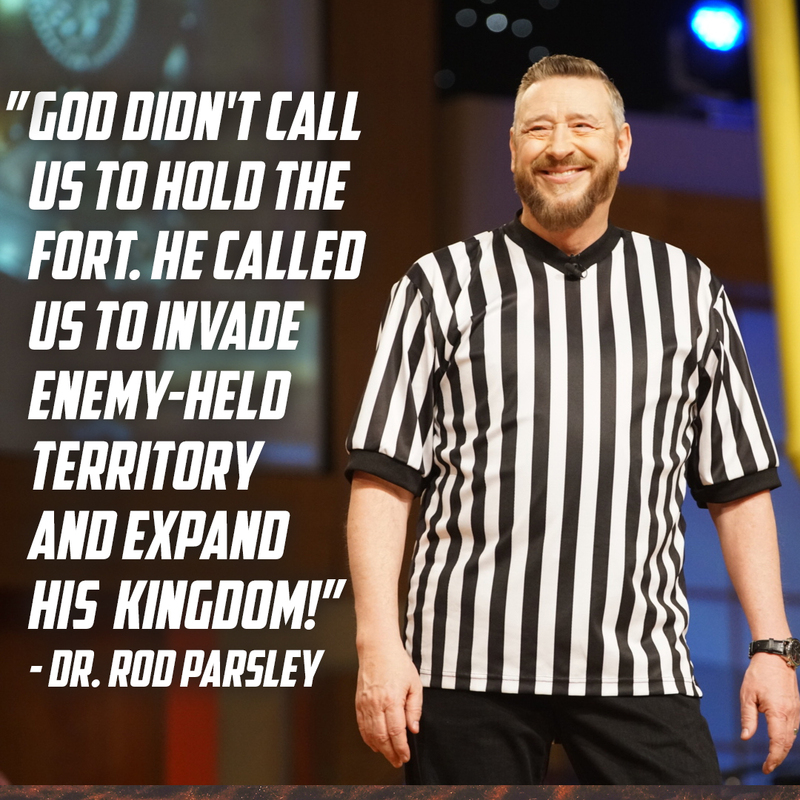 Place me strategically where I can serve You most effectively, and I will fight for You, because I am in it to win it! We want to pray with YOU! Send in your prayer request on this online form so we can agree with you in prayer! Send in your testimony or praise report here when God moves in your life, so we can give Him glory with you! !